Sell Your House Fast in South Bend, IN - We Buy Houses in Weeks! Need to Sell Your House Fast in South Bend, IN? We Buy Houses in Weeks. My team will work with you to sell your house fast in South Bend – request a cash offer today. We’ll buy your home in its present condition, no need for expensive renovations. No fees, no obligation, no commissions. Sell your home without unnecessary 3rd parties. If you need help to sell your house fast in South Bend, don’t settle for less than the best. Hi, we’re NK Developments, a real estate investment company that pays cash for homes here in Indiana. If you need to sell your house fast in South Bend, IN, we can help. We buy houses in South Bend, IN for cash so you can skip the trouble, waiting and investment required to sell through a local real estate agent and a bank. Selling your home is a very big decision, and we don’t take that lightly. If you’re reading this right now, chances are you’ve run into a set of circumstances that make it imperative for you to sell and move pretty quickly. If that’s true, our process is your ideal path to a new start. Skip the stress of vetting dozens of cash home buyers – give us a call instead. There are a lot of companies who buy homes quickly in South Bend, but what ought to be a fast, easy experience in selling your property can turn into a real nightmare if the company you’ve chosen to work with does not have your best interests at heart. Cash home buyers often get a bad reputation based on the companies who prioritize profit over service. Investors like these may pester their clients or rush them into accepting an offer that makes the client uncomfortable. They may change their offer at the last minute or refuse to give sufficient details about how they got their numbers. All these concerns are why we strive to go above and beyond the others in our industry. We are deeply committed to keeping our offers consistent and transparent – we’re more than happy to explain any part of the proceedings that might be confusing or unclear. We also believe in giving you ample time to consider our offers. Our process is built around achieving a win-win deal that leaves everyone happy and confident. We know that talk is cheap, however, and that’s why we would also love to pass along video or written testimonials from our previous clients. Earning your trust is important, and we want to do whatever is needed to make you feel comfortable working with us. We’re ready to buy your home for cash in South Bend. Get a new start without stress or hassle. Be free to relocate for a new job offer. Move closer to loved ones. Get rid of an unwanted inheritance property. Interested in the short sale process? We can help you learn more. Forget about anticipating or analyzing the housing market. No dealing with paperwork or real estate red tape. We won’t ask you to perform expensive repairs or renovations. Our team will work with you on your perfect timeline. Selling your home for cash in South Bend is simple. Just reach out to us in whatever way you like (give us a call or fill out the form on our website) and let us know what you’re dealing with. We’ll make an appointment to see the home at your earliest convenience, and if we see that selling is your best option, we’ll get you an offer ASAP. From there, you call the shots. You can let us know when you need to close and we’ll buy your home so you can move forward. We buy houses in South Bend as-is, no matter the condition. 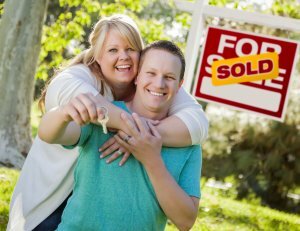 We buy houses anywhere in South Bend, so if you’re looking for honest cash home buyers in South Bend who can help you sell your home as fast as possible, we’d love to talk with you! Trying to decide between us or a realtor? We often hear from clients that they struggled for some time on whether to sell with us or with a realtor. Selling through a local real estate agent seems like an obvious choice for many homeowners because it’s a process they hear a lot about – they feel more comfortable with the idea because everyone knows someone who has happily sold their home with the help of a realtor. Unfortunately, selling your home is highly individual and there’s no perfect solution for everyone. Realtors are best suited for those not working on a tight schedule, with plenty of resources to put towards fees, commissions, and the potential costs of attracting buyers to your home and maximizing its market value. We buy houses in South Bend without the uncertainty and complications of traditional real estate. Essentially, we cut out any and all middlemen. Deals are made between you and us, in cash, on your timeline. No home showings, no corporations, and no stretching your resources or schedule. If you’re hoping to sell your house fast and with as much ease as possible, we want to hear your story. We don’t just buy in South Bend, we buy cash homes in these cities across Indiana, so no matter where you live – reach out to us and we’ll let you know if we can help. We Buy Houses Anywhere In South Bend And Other Parts of Indiana, And At Any Price. Check Out How Our Process Works. We’re Ready To Give You A Fair Offer For Your House. We help property owners just like you, in all kinds of situations. From divorce, foreclosure, death of a family member, burdensome rental property, and all kinds of other situations. We buy houses in Indiana… including South Bend and surrounding areas and pay a fair cash price, fast. Sometimes, those who own property simply have lives that are too busy to take the time to do all of the things that typically need to be done to prepare a house to sell on the market… if that describes you, just let us know about the property you’d like to be rid of and sell your house fast for cash. Who are the cash house buyers in South Bend Indiana? Members of NK Developments​ are Affiliated with a Real Estate Brokerage.